I get lots of invitations to do camps all over the World. I cannot do them all, sadly, so I decided to create my own on Crete. 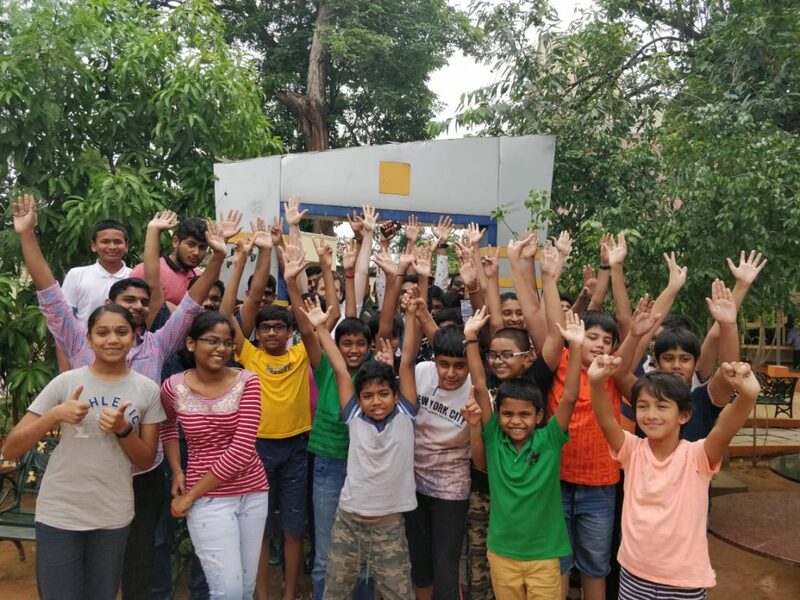 The Quality Chess Academy. We had the first round in November and with 11 participants, our overall financial loss was less than the return tickets to Crete. So I would deem that a success. The next camp will take place 8-14th May. Still at Lyttos Beach Hotel, which is simply awesome. So far not less than a handful have signed up. So the chance to come and have personal training with RB Ramesh and myself is yours. The place is great, the atmosphere will be great, the weather will be great and it will be great for your chess. Go to www.qualitychessacacemy.com if you are interested. I do not find it appropriate to take credit for other people’s successes. I have trained a number of players that have done well. Right after the camp in November GM Adhiban jumped to a career high of 2695 for example. But maybe the motivation that led him to come to the camp was the catalyst. We can never know. But it is still nice to see people you spend time with do well. 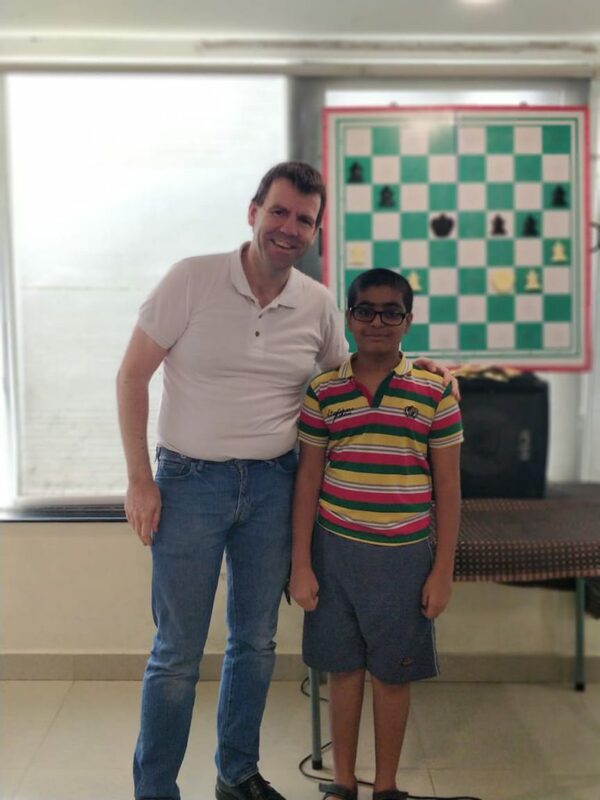 A game played in Spain a few days ago brought back memories of a week spent in Chennai with a bunch of ambitious kids. Even if they were quite misbehaving at times! My girlfriend gets upset with me whenever I claim to be old. She does not remember the fall of the wall at all, while I remember the Iran hostage crisis. I cry about the death/retirement of Rock ‘n Roll, while she sees it as a genre of Classical music, as I see Mozart, Gershwin or Charlie Parker. A decade ago Yusupov told me he participated in the European Championship and played eleven GMs between 2500 and 2600 of whom he had never heard at all! This was his “I am from the past” Epiphany. I have lots of them these days and honestly I enjoy them. I like the way new chess publishers are trying new things. As the old fart I am, I like what we do best of course, this is why we do it this way. But I really like that things are moving forward. 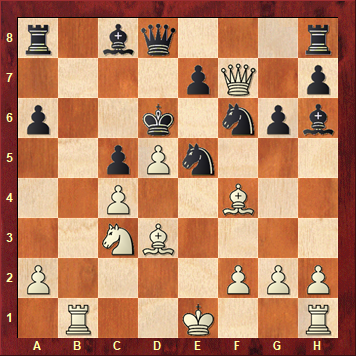 Yesterday I was made aware of two videos by GM Mykhaylo Oleksiyenko, whom I honestly still thought of as 21 years old. Actually, he is 32 and has three beautiful children, as the internet informs me. But thank you for Michael to making me aware of these videos, they are very complimentary to me. The first one deals with the method of the three questions in a tactical setting, with a position I first saw in Byron Jacob’s wonderful little book Analyse to Win, but there were a small mistake, which was the justification for me including it in Excelling at Chess Calculation, with some chat. The second position is more positional in nature and comes from one of his own games. This one is a bit harder and I have to confess that I got it wrong! But it is all very logical and instructive. Overall this first visual encounter with Mykhaylo Oleksiyenko was been a total pleasure for me. Not so much because of the nice recommendation of the three questions, but more because of the clarity and high level of his explanations of the positions. If you are looking for a private trainer, I think he teaches on Chess.com, which apparently is not just about Puzzle Rush… You can find him on Facebook here. 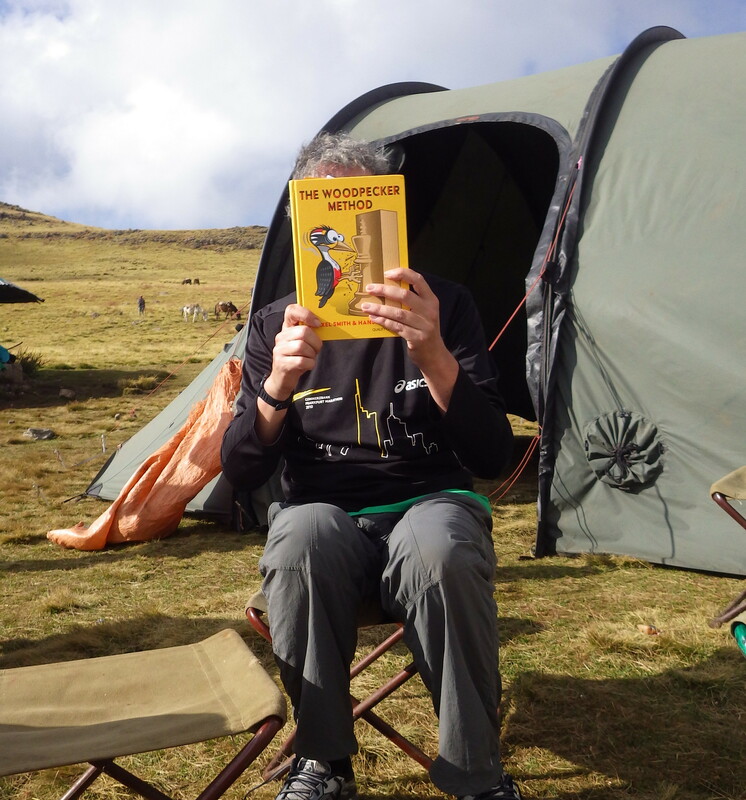 “For a three weeks’ adventure trip to Ethiopia I wanted to take with me ONE paper book – a chess book of course. I came up with The Woodpecker Method, as I loved Pump Up Your Rating from Axel Smith. And yes, The Woodpecker proved itself worthwhile. Usually we chess players praise first and by far foremost the content, but here I want to praise paper and binding as well. Very good job! The attached picture was made 3600+ meters above sea level in the Simien-Mountains – and the book survived later on 100 meters below sea level as well without visible problems. Thanks Michael! So if anyone was wondering if you could do your Woodpeckering 3600 metres up a mountain in Ethiopia, then the answer is yes. I am sure Axel and Hans would approve. First of all, check out the fantastic cover design for this book! 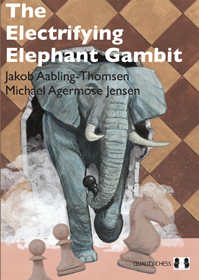 We have received a number of draft chapters from our Danish friends Michael Agermose Jensen and Jakob Aabling-Thomsen, the Elephant enthusiasts – that is, 1.e4 e5 2.Nf3 d5. They are doing excellent work and I can see the finished book having a ‘Mayhem-in-the-Morra-esque’ effect, whereby people realize the gambit is much better than its reputation. Having seen snippets of the work, I have not been able to resist experimenting with the Elephant every now and then. I tried it in two rapid games against lower-rated opponents, both of whom accepted the gambit. I went slightly astray in the opening (the relevant chapters have not been delivered yet, so I had to rely on my own guesswork rather than the authors’ expertise) but won both games after some adventures. Perhaps more significantly, I played the Elephant in two local league games against guys in the 2250-2300 range. Both of them were too fearful of the Elephant’s tusks to accept the gambit pawn, and opted for a more timid line involving an early queen exchange. In both cases I equalized quickly and pressed for an advantage, eventually eking out a win in one game and settling for a draw in the other. 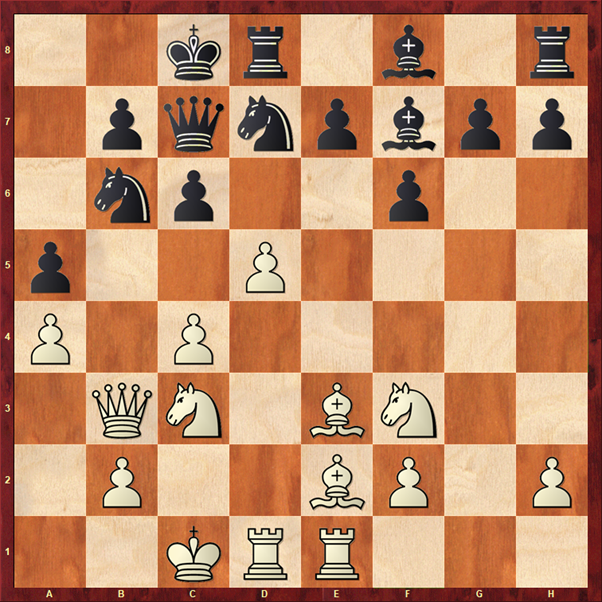 Obviously I won’t be playing the Elephant in every game, but so far it has been a delight to get it on the board and force my opponents to think hard at such an early stage. What do our blog readers think? 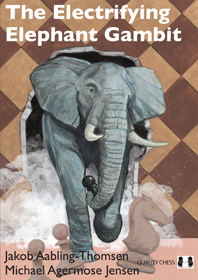 Can you see yourself adding the Elephant to your repertoire as a 6,000 kg surprise weapon? If you want to know your opening repertoire well, you need time to memorise it. Some of it will make a lot of sense and some of it will be concrete, but counter-intuitive. Sometimes a line a tempo down is no worse, for example. The main reason I remembered the line, was because of an attractive shot in this position (did not really happen). Often these types of anchors and little nuggets of information helps us remember what comes before. 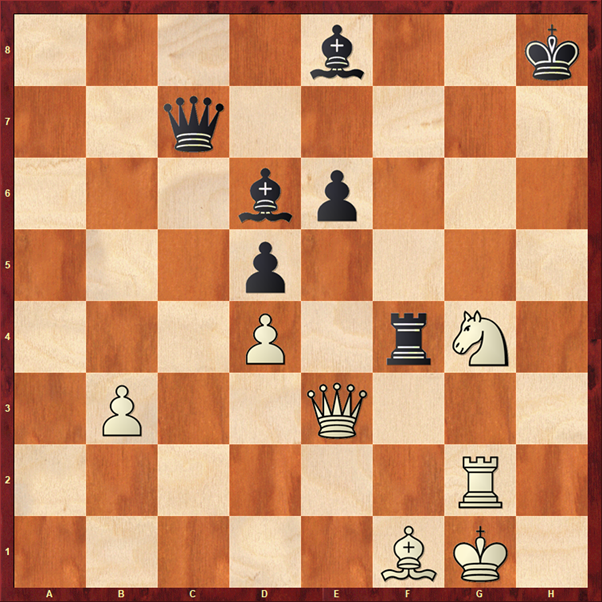 White to play. What is the strongest continuation? Please note that if you buy a Special Offer and are in the EU zone, we will add one free book. For example, if a European buys the Special Offer on Judit Polgar’s superb trilogy, then we send Judit’s 3 books in hardback, plus one free extra book.